If you are old enough to remember the plastic penny boards that used to be popular then you have some idea of what Ben Mackay, creator of the Penny Nickel board, had in mind when designing this iconic skateboards. Unlike the penny boards and nickel boards on which it was based, the Penny Nickel was designed to ride like a dream and survive anything, making it a highly popular choice among skating enthusiasts today. 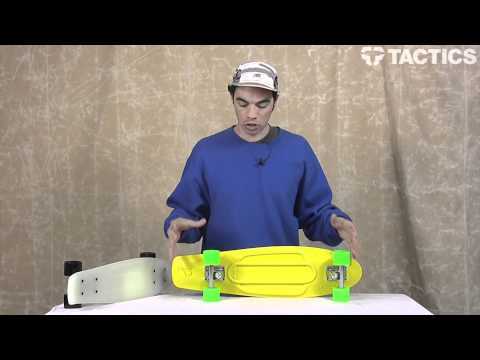 In this review of the Penny Nickel skateboards, we’ll look at what functions suit the board best, how to ride a penny board, and the advantages that go along with this unique design. What is This Board Made For? To start, Penny Nickle skateboards are fast, much faster than a traditional skateboard. Their small, aerodynamic shape allows them to cruise down the pavement with fluid ease. In fact, the Penny Nickel was specifically designed to emulate the experience of surfing. For a penny board, this level of performance was brand new. Read most any penny board review that isn’t written about the Penny Nickel and you will likely see complaints about the board not riding smoothly. The Penny Nickel, however, offers one of the most unique and enjoyable riding experiences you will find. This riding experience is one of three reasons that the Penny Nickel gained its popularity. The second reason is the board’s durability. Made from a nearly indestructible plastic material, the Penny Nickel can survive any crash or missed landing that you can imagine. If you were to pick this board up and beat it against a brick wall it would still come out unscathed. This level of durability has made Penny Nickel boards especially popular among riders who put their skateboards through a level of punishment that a board with a wooden deck could not survive. Lastly, Penny Nickel skateboards are enjoyed for their artistic qualities. Thanks to their plastic construction, these boards are able to come in a near limitless variety of colors and blends of colors. You can find Penny Nickel boards in solid colors, stripes, tie-dye style swirls or anything in-between. These aesthetic qualities have always made penny boards highly popular among skaters looking for a unique and expressive skateboard. Thanks to its high level of performance, extreme durability, and flashy, unique look, the Penny Nickel is a staple among skaters today and is a great option for those searching for something a little different from your traditional, wooden skateboard. As with any skateboard, it is important to get your stance right first. Start with your lead foot on the board, tilted slightly at an angle, then push off with your back foot. Because of the speed of a Penny Nickel, however, it is important to learn proper speed control. Carving and foot braking are both important methods to learn. As for turning a penny board, you can control it just like any skateboard by shifting your weight in the direction you want to turn. With a penny board, however, it is important to remember that you have less space to maintain your balance while shifting back and forth. At this point, you can start branching out and exploring the various tricks and riding styles you can perform with a Penny Nickel. Riding this type of board may seem a little different at first, but the basic mechanics are essentially the same. With a little practice, you can start cruising your Penny Nickel board down the road with fluid ease. Different from any skateboard, longboard, or shortboard on the market, Penny Nickel skateboards are quickly becoming one of the most common style of boards you see on the streets today. They are unbelievably fast, nearly indestructible, and come available in enough design styles to fully satisfy your particular tastes. Along with this, the Penny Nickel is made to emulate the fluid movements and turns of surfing, making it one of the most enjoyable boards there are to ride. If you are looking for a great, unique board to add to your collection that will give you a riding experience unlike any other, then consider purchasing the iconic Penny Nickel board.